Does anyone have access to the procedure needed to reprogram the keyless entry remotes for a 97 park avenue? 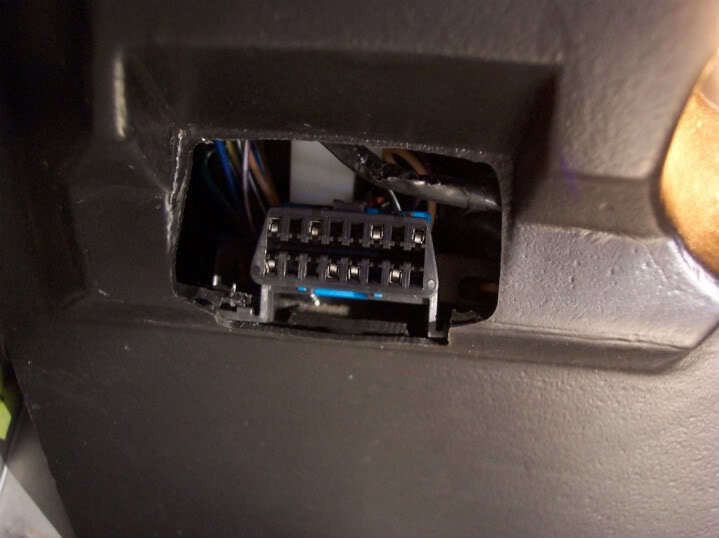 The pin4 to pin8 grounding thing only works for 98+ cars. There seems to be a procedure that is unique to the 96-97 cars. Thanks. It worked for my 96. Unfortunately the Park Avenue has a different procedure in the 96-97 model year. The pinout of the obdII port is different between the Park Ave and my Riv. The Keyless entry remote for the wifes 99 Riv has stopped working. I replaced the battery but it still does nothing. How much does the dealer charge to replace this part? Found the instructions on how to reprogram by shorting pins 4 to 8. I have two remotes for other vehicles that look identical. Can I just reprogram one of them for the Riv? According to the info I found on a ebay ad that sells the remotes for the Riv. the remotes I have for the "other" vehicles wont work. They have a different FCC ID# than the Riv. I guess I will by one off of ebay and program myself. Meanwhile I will try and round up one of them fancy fused jumper wire hickey dodgers. Where can I get one of those? Bought a remote from the junkyard for $10.00. I have not tried reprogramming it yet. 96-99 Riv, PA, Lesabre or Bonneville. I also stopped at RadioShack and bought a fuse holder with two wires made on it that I will make a fused test jumper with. I know I probably dont need the fused test jumper but I am going to try and use it anyhow. My test leads on my fused test hickey were too big for the connector so I used a paper clip. The connector is mounted upside down compare to the picture in the Manual? I have been trying to get my car into program mode and it will not. I took it to the dealer and hooked it to the Tech 2 and it still wouldn't go into program mode. Any help for this one? Verify the FCC ID Code on the back of the remote is:KOBUT1BT. Make sure you are following the directions for the instructions. For instance if you dont have the door closed it wont work. If you turn the switch off before removing the paper clip it wont work. The #4 and #8 pins WILL have the metal conductors in them, so if you look at the pic of the connector above and compare it to yours, you should be able to find#4 and #8. If you count in any direction on either row there is only one combination of pins in the fourth and eighth positions that have the metal conductors in them. Keep in mind your connector might be upside down compared to the pic above. I did find 4 and 8. I did not get program mode when I hooked them up, and now I don't have my instruments or heater working. I cant seem to find the fuse for them. If you blew the fuse, you must have shorted the wrong pins. You should be able to find the fuse location by looking in the owners manual. They have E Bay auctions. I ended up paying $0.99 for the remote and $9.99 for shipping. You should be able to reprogram ANY key fob applicable to out cars with the above method. I tried doing this exact thing. I ended up somehow screwing up my gauges, odometer, and climate control. I know for a fact now that I touched the right pins. Would touching the wrong pins cause me to burn out the computer or something? I've never had to do it, so I am not positive but I thought on the later years you had to jump the wires at the security block somewhere under the rear deck. i just got a replacement remote. in the book u use a aldl wire? to hook to pins together then hit lock on the remote. wtf is a aldl wire and where do i get one? this might be in the wrong section sorry.